International collaboration is often the best way to approach difficult research problems, and this is how we’re searching for new ways to treat the brain tumour called glioblastoma. Teams from the UK, Canada and Sweden are defining the role of a genetic mutation in the disease, and will then determine whether it represents a target for new therapies. Our funding is enabling doctors to collaborate globally as they research the genetic make-up of a particular childhood brain tumour, and work on new ways to treat it. Genome editing of human neural stem cells using nuclease-assisted gene targeting: a tool to uncover the function of H3F3A mutations in paediatric glioma. The genes that make up the childhood form of the brain tumour known as glioblastoma have recently been identified, but how they drive the formation and growth of the tumour is not yet understood. A team of doctors from Canada, Sweden, London and Edinburgh is collaborating to look at how these genes function, and why they’re only found in certain regions of a child’s nervous system. In this pioneering project, state-of-the-art tools will be used to engineer the genetic defects directly into lab grown versions of the brain cells from which the tumours are thought to arise. This will enable the team to study the behaviour of the genes, and provide important insights into new approaches to treatment. This project will generate vital new information about childhood glioblastoma, which is a particularly difficult to treat brain tumour. The international team will define whether newly identified genetic mutations represent critical therapeutic targets, and will create a set of extremely valuable cell lines that will be shared with other researchers around the world. They’re focusing on a gene called H3F3A, which is frequently mutated in this form of the disease. It isn’t clear whether these mutations have an essential role in maintaining growth of tumours, or whether they’re only important during the earliest stages of tumour development. Experiments will be carried out to see whether reversing the H3F3A mutation represents a new treatment approach. The team will also look at the effect of introducing the mutation to cells from different parts of the brain, and this will determine whether tumours in different parts of the brain are truly different diseases. This work will enhance our understanding of childhood glioblastoma, generate information about its development and provide important insights into new treatment approaches. Importantly, throughout the course of the project, the team will create new cellular models of the disease that will be shared with other researchers. 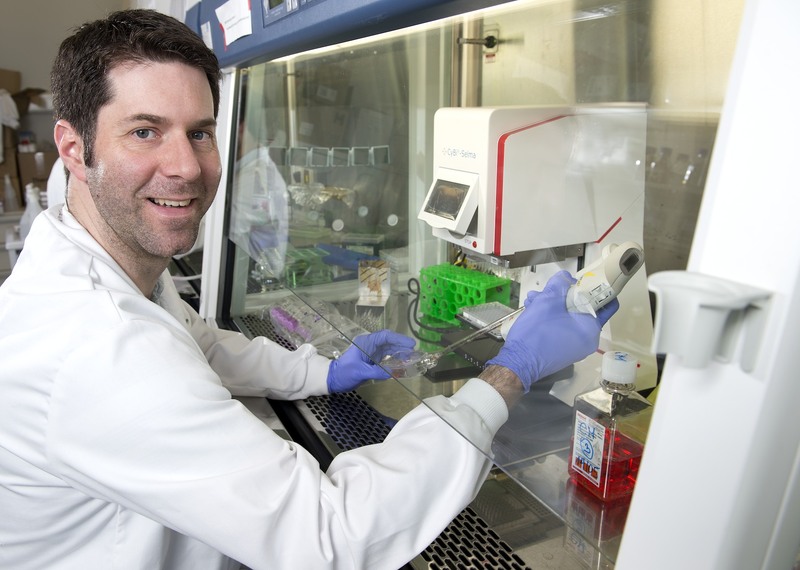 Dr Steven Pollard is a CRUK Senior Research Fellow at the University of Edinburgh. His world-class laboratory is at the MRC Centre for Regenerative Medicine. Dr Pollard brings together an outstanding international team, including Peter Dirks (The Hospital for Sick Children and University of Toronto), Helena Caren (Sahlgrenska Cancer Center, Gothenburg), Paolo Salomoni (UCL Cancer Institute, London), Paul Brennan (NHS Lothian and University of Edinburgh), Neil Carragher (Edinburgh Cancer Research Centre) and Jothy Kandasamy (NHS Lothian). As well as contributing specialist expertise, the collaborators also provide access to clinical material from five paediatric neurosurgical centres.